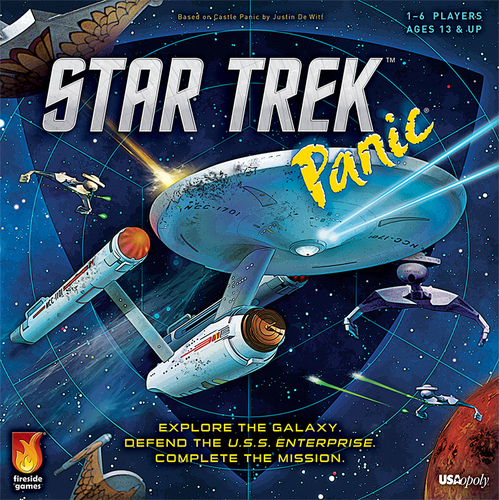 Star Trek Panic is a cooperative light strategy board game based on Castle Panic that challenges players to defend the U.S.S. Enterprise from enemy attacks. In addition, the game features mission cards that have unique challenges based on the original Star Trek series as well as character cards so that players can assume the roles of Star Trek icons like Captain Kirk and Mr. Spock. On Just Games shelves now, check out this cool board game at our Thursday and Saturday board game nights at 5pm.